Strength training is important to improve the efficiency of running and decrease risk for injury. There are a variety of exercises that can be performed in order to strengthen the appropriate muscles to improve your running economy and decrease your risk for running induced injuries. Runners need to focus on strengthening that will keep their body well balanced. Planks can be performed in order to improve core strength, lower back strength and shoulder strength. In order to perform a plank exercise you will prop yourself up on your elbows with your feet slightly apart. You need to make sure your body is aligned and you keep your abdominal muscles tight and your shoulders are directly above the elbows. You will hold this position for 45 seconds to 1 minute (holding as long as possible, taking quick breaks when necessary) and then add time as you get stronger. You can perform 3 to 5 reps. You can modify this exercise to include side planks that target the obliques, single leg planks, mountain climber planks and supine planks. More: Why is strength training so important for runners & endurance athletes? Another helpful core exercise for runners is windshield wipers. In order to perform this exercise lie on your back with your upper legs perpendicular to the floor with your knees bent to 90-degrees. Keep the bend in your hips and knees and lower your legs to the left and then bring them back to the starting position and repeat to the right side of your body. Make sure to keep your shoulders in contact with the floor. Perform 10 to 12 repetitions. You can make it harder by keeping your legs straight. Build up to 1-4 sets. Back extensions can be performed in order to strengthen the lower back, glutes, middle back and shoulders. In order to perform this exercise lie face down on a stability ball with your feet spread wide for balance. Your elbows should be bent with your hands lightly touching the ground for initial support. Then squeeze your glutes and lift your torso up until your body forms a straight line. As you lift up your torso, allow your hands to come off the ground and keep your elbows bent. 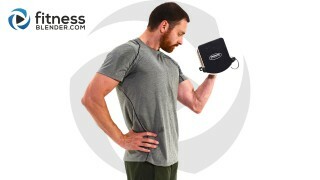 Extend your arms overhead and then hold for one to two seconds. Relax your arms and then your torso back down to the start position. Perform 10-12 repetitions. You can also perform this exercise on a mat by raising your thighs and arms off the ground while your torso stays in contact with the ground. To make it harder your can hold light dumbbells. Build up to 1-4 sets. Squats with overhead press can be performed to strengthen glutes, quads, hamstrings, lower back, upper back and shoulders. You can hold weight- either dumbbells or kettebells - in both hands in front of your chest. Stand with your feet hip-width apart and push your hips back like you are going to sit in a chair. Lower your body into a squat until your thighs are parallel to the floor (use less depth if form starts to suffer). Press the weight overhead and as you stand back up return the weight to the original position. You can also do the squat without the overhead raise by just keeping the weight in the center chest position. Perform 10-12 repetitions. Build up to 1-4 sets. Overhead lunges are performed to strengthen quadriceps, hamstrings, glutes, shoulders and core. Hold a pair of dumbbells straight above your shoulders with your arms straight and elbows locked. You will step forward with one leg and then lower your body until your front knee is bent to 90 degrees. Then return to the starting position and repeat with the other leg. Perform 6-8 repetitions on each leg. If you need to make it easier hold the dumbbells at shoulder level. Build up to 1-4 sets. Stability Ball Hip Extension with leg curls can be done to increase hamstring, glute and core strength. Lie on your back on the floor with your calves on a stability ball. You can extend your arms to your sides to help support and balance yourself. Push your hips up so that your body is in a straight line from your shoulders to your knees. Without allowing your hips to sag, roll the ball as close as you can to your hips by bending your knees and pulling your heels towards you. You can make it easier by only doing the bridge on the ball and to make it harder your can do a single leg curl while holding your other leg in the air above your hips. Perform 6 to 8 repetitions per side. Build up to 1-4 sets. 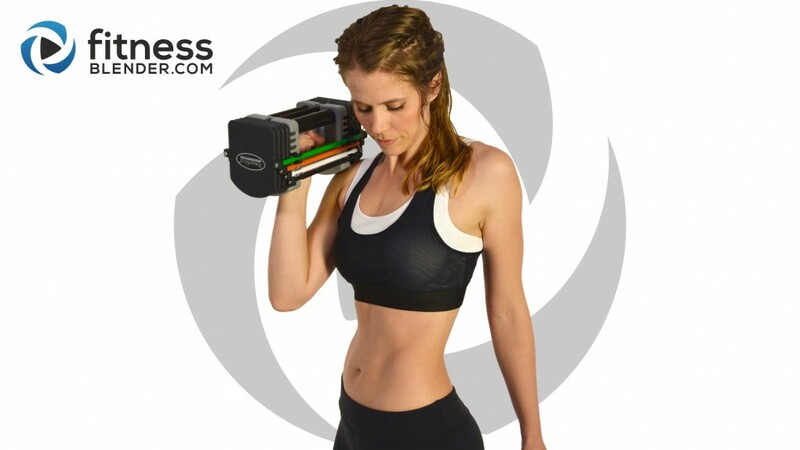 Alternating dumbbell rows can be performed to improve middle back, bicep and core strength. Perform 10-12 reps of this exercise at a time. You can perform this exercise standing while bending at the hips so that your torso is parallel to the floor. Keep your arms straight as you bend your hips so that the dumbbells hang straight down. Pull the dumbbell in one hand bending your elbow and raising your upper arm toward the middle back. Lower the arm and then repeat with the other arm. Build up to 1-4 sets. These are just some of the exercises that can be performed in order to improve running economy and efficiency. You can see that these running exercises are not just for the legs but for the whole body. Like it was said before, it is important to perform a total body workout in order to enhance your running abilities and not just focus on running as exercise alone. You should modify exercises as needed and begin with light weights as you start to build up your strength. 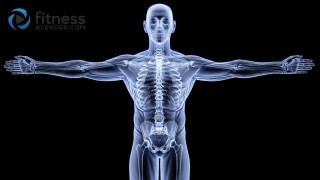 It is important to allow the muscles to rest so do not perform strengthening of the same body region back to back days. Try to avoid running the day after you do legs to allow the leg muscles to recover. Avoid running before you do your leg workouts in order to get the most out of your workouts. FB Note: A lot of people mistakenly believe that strength training will negatively impact your running ability, so we were very happy to formally bust this myth. Not only is lifting not detrimental, supplementing with strength training can help make you stronger, faster, and less likely to have to deal with sidelining injuries. Yet another argument to make sure that your training is smart, varied, and well rounded. Do you consider yourself a runner? How often do you run? How far? Home workouts that are 30 minutes or less, combining fat blasting HIIT with metabolism boosting strength training for incredible results. Lose weight, build lean muscle, burn fat, boost endurance & feel great! An intense combination of upper body strength & HIIT; a great workout challenge that only requires dumbbells.